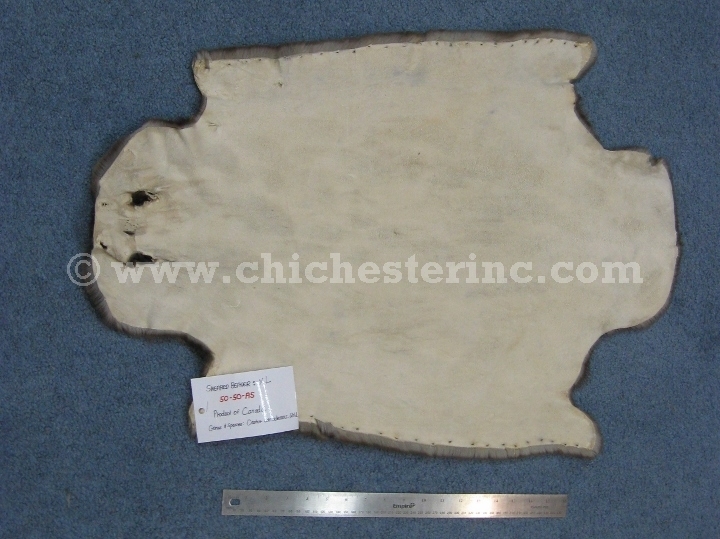 If you are looking for a wonderfully comfortable rug to put your feet on while working at your desk, try a sheared beaver skin. Sheared beaver has a truly decadent feel to it. All of the long guard hairs have been removed and only the dense underfur remains. 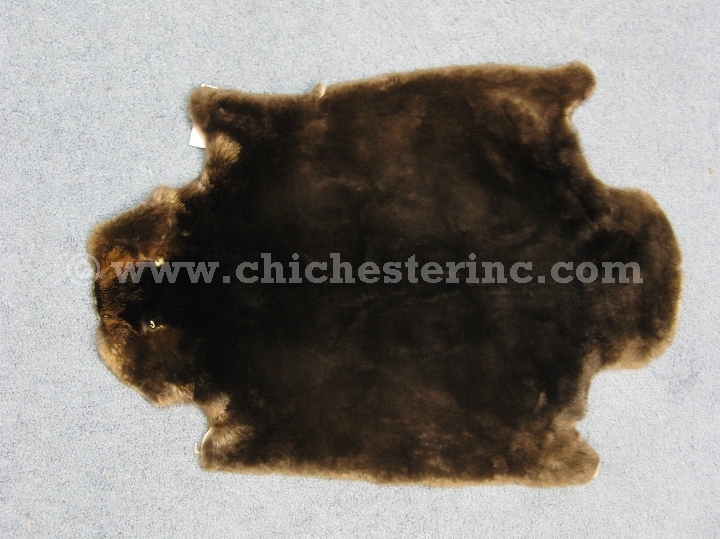 The fashion-quality R-50-50-AS sheared beaver rugs are extra large beaver skins, also called "blanket" beaver because of their size. Each skin is slightly different in shape and dimensions. Some are more oval while others are rounder. They average about 30" to 33" long by 20" to 26" wide. Each R-50-55-AS sheared beaver skins also differ in shape and dimensions, but they are not as plush as R-50-50-AS. Two random skins measured 30" long by 21" wide and 29" long by 19" wide to give you an idea of their size. These have been machine sheared. They have not been hand-plucked. These beaver skins are natural products. Dimensions are approximate.